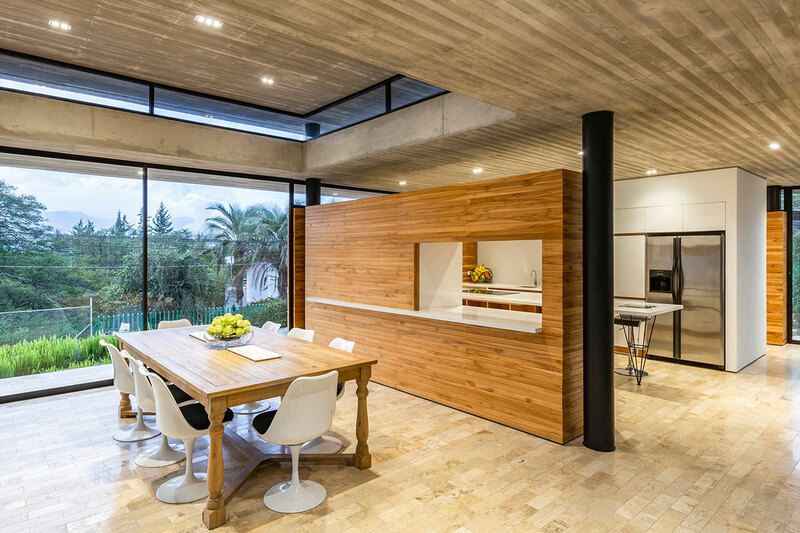 The Tacuri project, is a family house, designed by Ecuadorian architect Gabriel Rivera. The architect assumed the “place” (the site and the land) as the protagonist of the architectural project. At almost 3000 meters of altitude, lying on the line of the equator, the site is surrounded by valleys of fascinating microclimate, fauna, flora and breathtaking views. Tacuri, where the house is situated, is a picturesque area with beautiful Algarrobo (carob) trees. 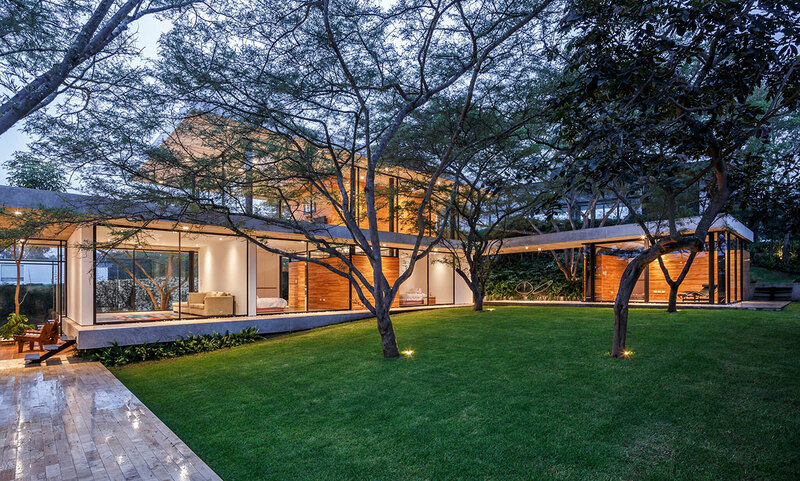 For the architect, respecting each tree was a fundamental condition. That is why his proposal was to create architecture that allowed living among the trees. 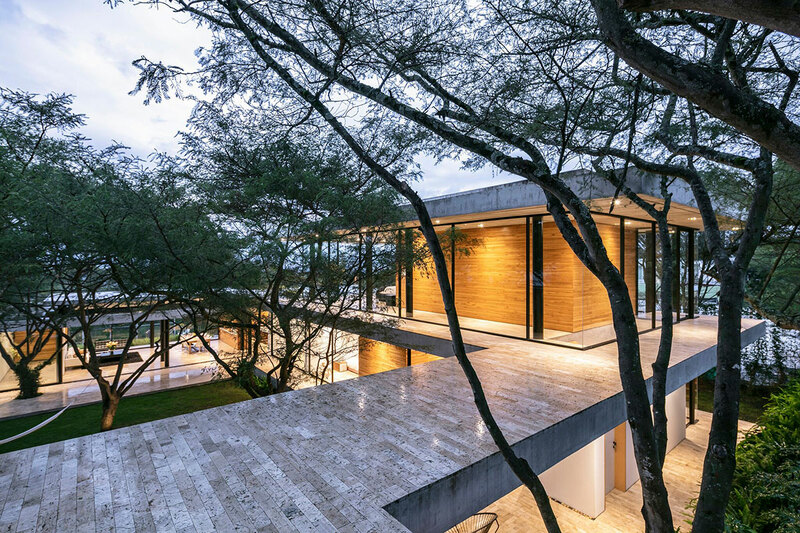 To achieve this, the he designed the house with clean, minimal lines, precise geometry, open to the environment, enjoying the trees, the climate, and the views. 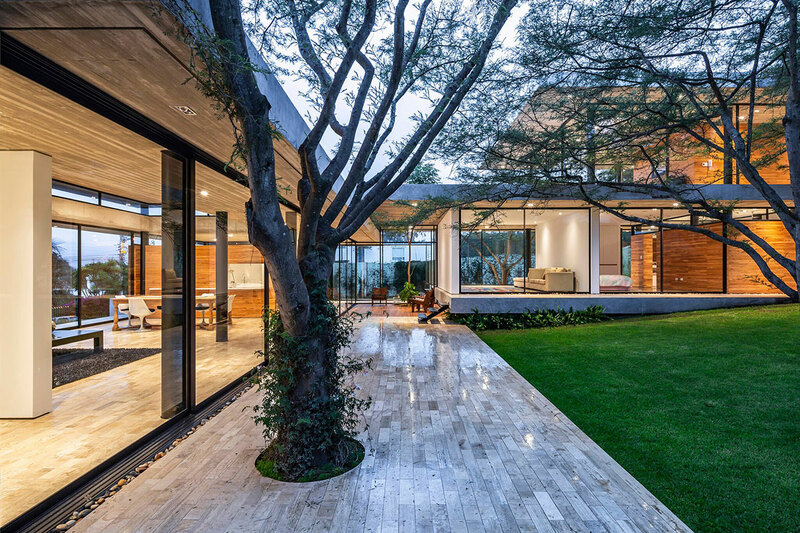 The architectural approach to the layout of the property features an ensemble of three different volumes around a central courtyard. 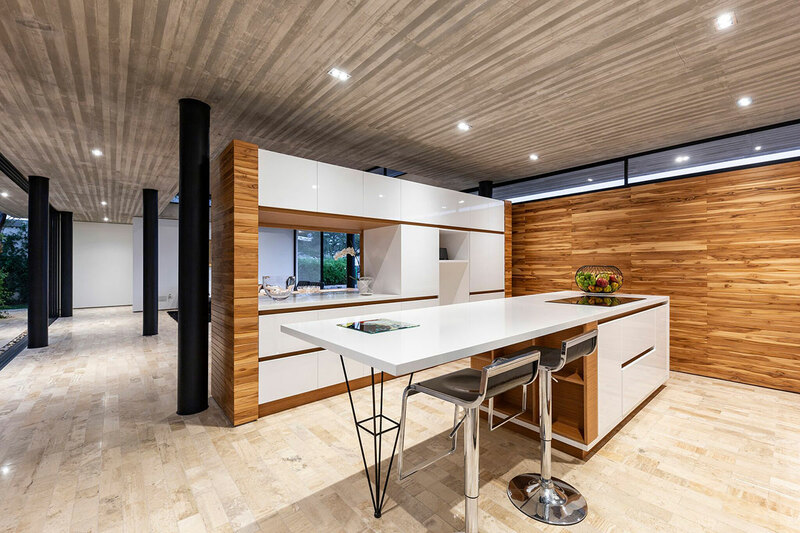 The first volume is the façade, facing the street and containing all living spaces. The second volume, set on two levels and perpendicular to the first one, groups the family relaxing spaces. 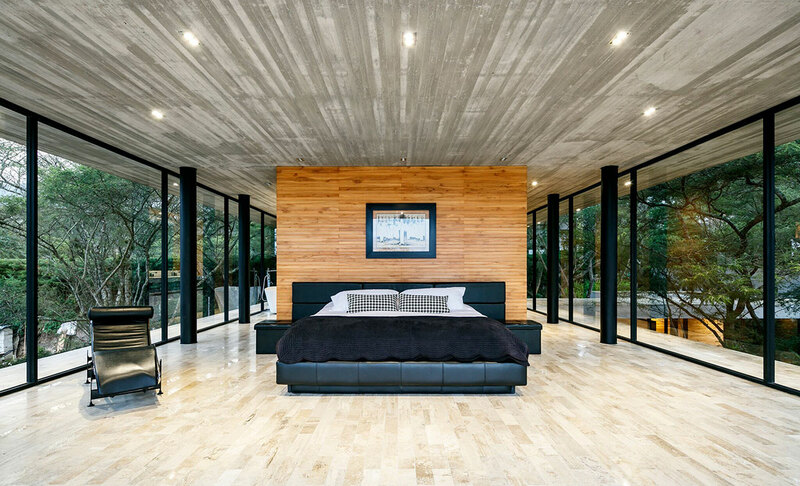 Finally, the third volume accommodates a study and closes everything to give origin to the patio. These three volumes are connected by a continuous exterior alley around the entire property. 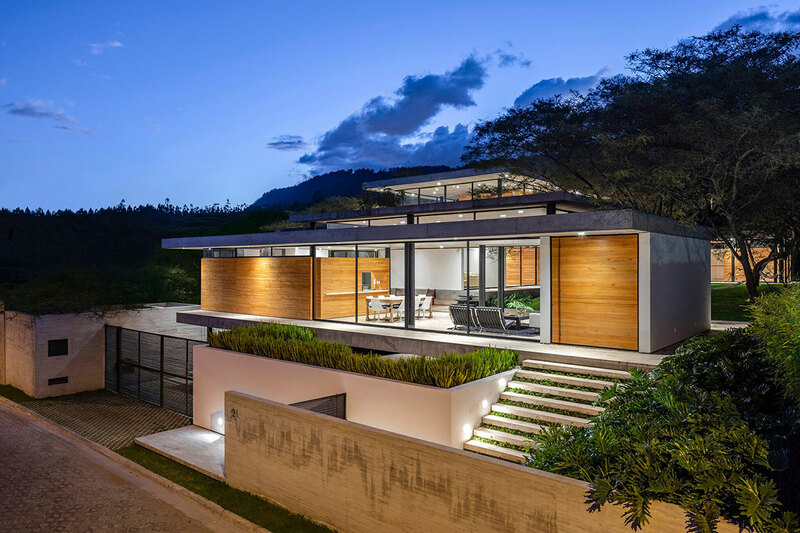 The house “reads” to the place and is coupled with the topography of the land through its intelligent architecture. 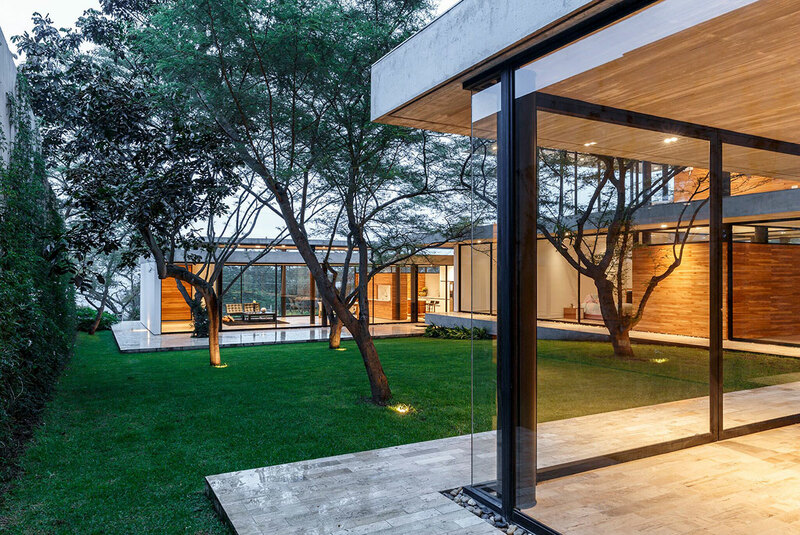 The structural concrete slabs seem to float, as if they were natural tree foliage, and intertwine the levels to create the habitable spaces, while the supporting black metal columns remind of the tree trunks of the exotic Algarrobo trees.